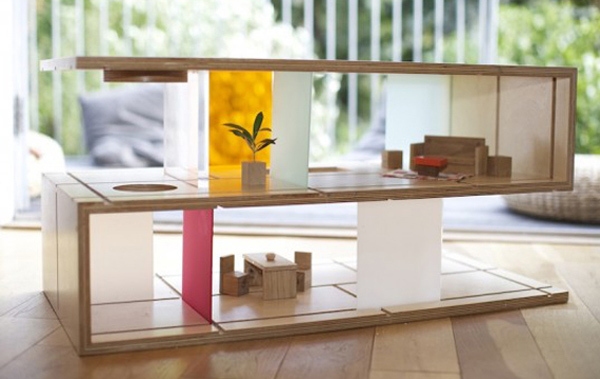 A coffee table that moonlights as a doll house – say it’s not so! Well Babyologists, guess what – it is so and it’s also completely awesome! Amy Whitworth is responsible for this clever multitasking piece of furniture that is the Qubis Haus. I adore the fact that a dollhouse is laying in wait, ready to launch into play at a moment’s notice, without actually looking like a traditional dollhouse and going undetected by visitors (unless of course, they’re as stylish and in-the know as yourself!). Made from solid birch plywood, this stunning modern coffee table transforms from a practical piece of furniture to a palatial dollhouse in minutes with the simple addition of wood and perspex sliding panels. 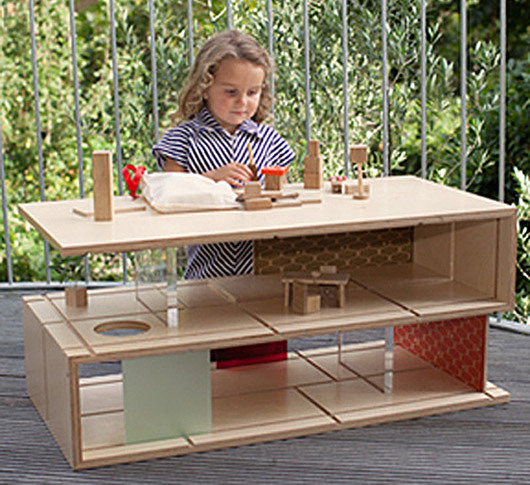 Qubis Haus Magnetic Furniture is also available separately for hours of endless imaginative play. The Qubis Haus is a splurge piece for most of us however, priced at a hefty £400 from Southbank Centre.